1. 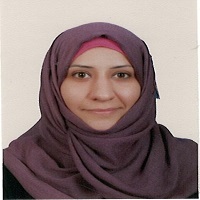 Bachelore of dental surgery (B.D.S) at 1-7-2003 from college of dentistry- Baghdad university. 2. Master scince in Prosthodontics Dentistry (M.Sc.) from college of dentistry –Baghdad university. 3. Certificate of IC3 at the computer center-Babylon university at 15-6- 2010. 4. Certificate of forign language (TOEFL ITP) at forign language test center in Kufa University at 24-Apr.-2010. 5. Certificate of forign language (TOEFL IBT) at forign language test center in Babylon University at 2-Sep.-2013. 6. Paricipatin in types of prosthodontic caurse in college of Paghdad University 29- Nov.2010. 7. Certificate of Attendunce The IDA Annual conference March 30-31 ,2012 Erbil-Iraq. 8. Certificate of Attendunce Al-Najaf Dental Conference 24-25feb 2012. 9. Certificate of Attendunce Al-Mustansaria Dental Conference 10-11 Apr. 2013.